The latest information about Accelerate VR program, co-hosted by Taiwan Startup Stadium (TSS) & Taiwan Association of Virtual and Augmented Reality (TAVAR). A new selective program designed to help Taiwan startups in the VR/AR industry apply to overseas VR accelerators. Co-hosted by Taiwan Startup Stadium (TSS) & Taiwan Association for Virtual and Augmented Reality (TAVAR), Accelerate VR will select THREE teams that are ready to become the next big VR startup! * Overseas VR accelerator must be approved by TSS & TAVAR. **Amount of subsidy will be based on location and duration of accelerator program. Applications will be reviewed by a panel of judges who will select the top 3 teams. Selected teams will be announced on July 19. July 19 3 Selected Teams Announced! 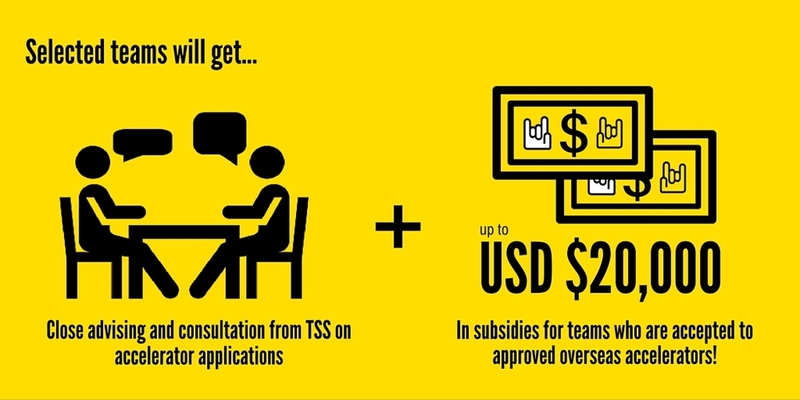 TSS & TAVAR reserve the right to adjust the terms and conditions of this offer as deemed necessary.